Laurie and Tim on Tuesday 7 Feb investigating the door lock into the staff end of the buffet, which had caused problems on Saturday. Hopefully with their prompt attention and knowledgeable action, the door lock will now work properly. This first footbridge of four steel lattice spanned between the station building entrance, crossing over Hollybush Road, and the New Road, was opened in 1786. In 1895 the GWR board gave the Bridgnorth Corporation permission to construct the abutment at the station end. Inevitably when BR closed the railway in 1963, the footbridge deteriorated from lack of maintenance and was closed to use. In 1967 the council wanted to demolish it and a public appeal in 1969 raised £1,500, insufficient for its repair. So on 30 September 1970 the bridge was closed and the ends boarded up. 1 April 1974 saw Bridgnorth demoted to rural borough status and the loss of its powers as a highway authority, and to spend on the bridge upkeep. Later in the year it was sold to Severn Valley Railway for the nominal sum of £1 with the object of rebuilding it for £15k. Salop County Council would then maintain it. The SVR board decided they could not afford the £24,900 cost of repair and as it was sadly conceded not to be tenable, this bridge was dismantled in 1976. Friday 26th Aug, 07 00hrs, our Wailing Wall team convened to attend the unloading and craning operation of the new temporary portacabin. 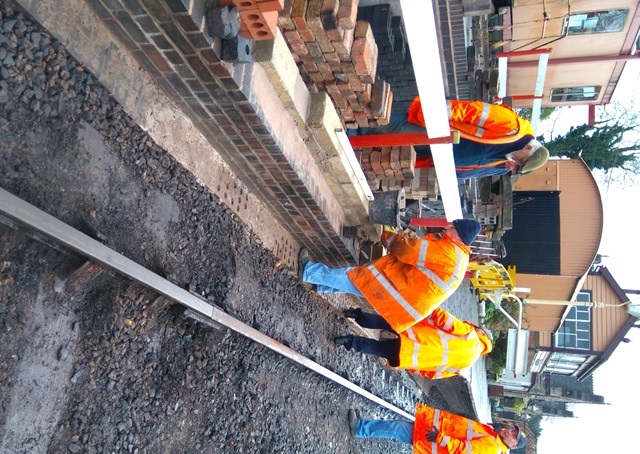 With the minimum of effort on our part, three members of the contractors skilfully lifted and positioned into the restricted space on the platform 1 north extension. We will be coupling up the water supply, the drainage and of course the electrical mains cable directly. P.S. There is now No Access to the refreshment room from the cattle dock, which just demonstrates how skilled the craning crew were. So it’s happened. 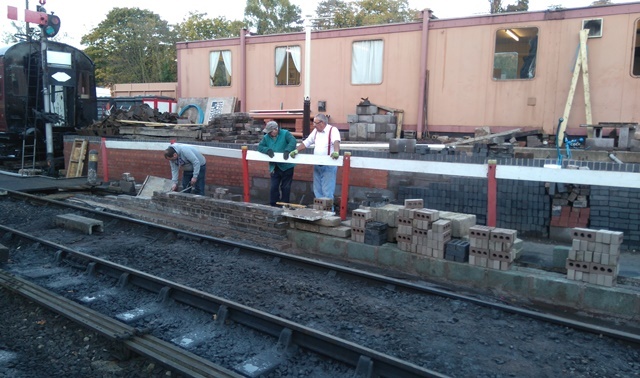 Planning consent for the much-needed improvements and extension to our facilities at Bridgnorth Station has been granted. Woohoo! Don’t under-estimate how many years’ work this has taken by a small group of absolutely-determined volunteers and their paid advisors. The consent (albeit with some conditions) is a credit to that determination.